The Shelburne Junior C Vets made a good second period comeback in Friday (June 26) night’s game against the Wilmot Wild, but the third period saw the visitors rally to take the game 10–8 after a couple of late game goals sealed the deal. The Vets were trailing 4–2 at the end of the first. First period Shelburne goals came from Doug Derbyshire and Matt Allen. The Vets returned for the second frame and opened fire with three goals from Ty McCallum, Darren Mick on a shorthanded effort and a third goal from Kayden Morley to take a 5–4 lead. Wilmot tied things up at the midway mark. The second period ended with a 6–6 tie with one more Vets goal from Nick Fines and single from Wilmot to make it a one period battle to end the game in the third. Shelburne’s Zack LaForm scored at .22 seconds into the period followed by a second Vets goal from Matt Allen at .42 seconds to give the hometown guys a two goal lead. The game was lost when the Wild managed to score four third period goals to take the lead and held on for the rest of the game for the win. “We needed to tighten our defence, which we did, and we just started running to the net and scoring goals,” said Shelburne’s Darren Mick of the first period come-back. The return for the third period was a disappointment when the Vets were out-gunned by the Wild, but Mick said he thinks the squad still played a good game. After the weekend the Vets have a 5–9–1 record and 11 points. The Vets will return for their final home game of the regular season this Friday (July 3) to host the Fergus Thistles at the Centre Dufferin Recreation Complex. The game is scheduled to get underway at 8 p.m. 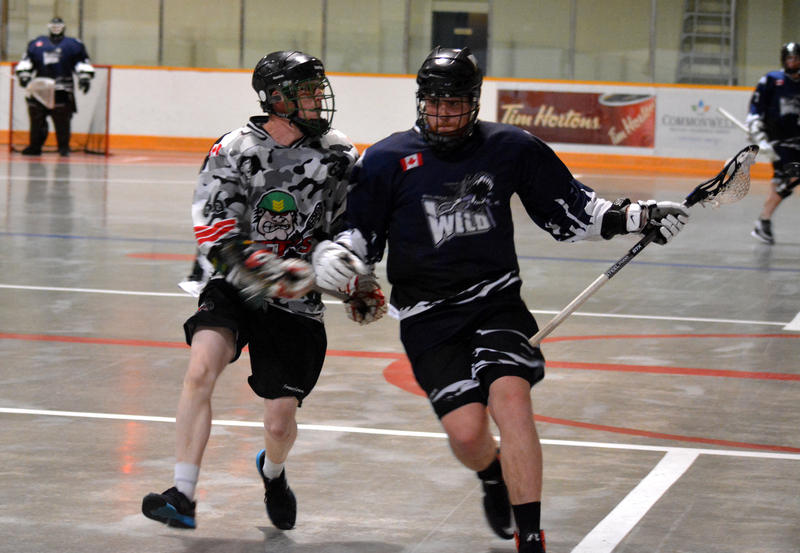 The Shelburne Junior C Vets host the Wilmot Wild at the Centre Dufferin Recreation Complex on Friday, June 26. The Vets fought back from a two-goal deficit in the first period to tie it up in the second frame. The final period saw the Wilmot team outscore Shelburne and the Vets had to settle for a 10–8 loss.